Free Gardening Kit from Annie’s Homegrown! We love Annie’s Homegrown products! I picked up some snack mix and bunny grahams this week from Target (they were on sale!). 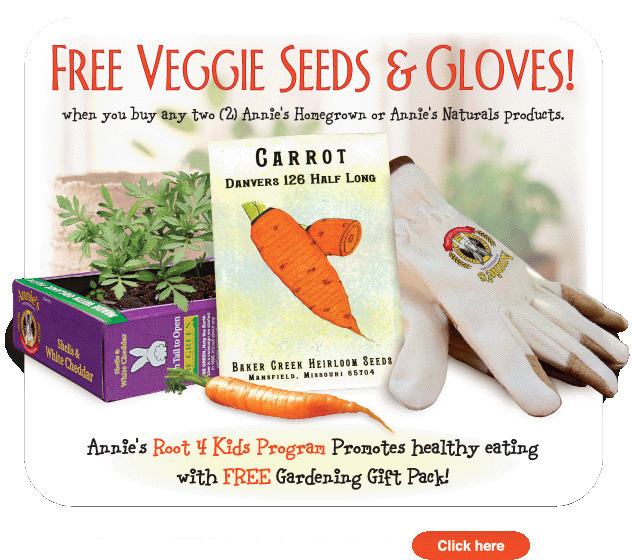 When I got home later that day, I saw the free offer for a gardening kit with the purchase of 2 of Annie’s products. I am looking forward to digging and planting with my kids very soon! The Power Team at 1st Baptist Melbourne Wed.- Sun.